In an essay titled “Nowhere to Go: Automation, Then and Now”, Jason E. Smith is drawing some points from James Boggs, a black revolutionary auto factory worker and writer. Boggs saw a future where de-industrialization of factories due to automation would lead to mass unemployment and a huge precarious class of workers without jobs. 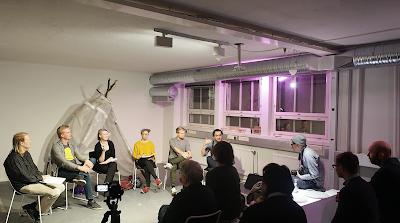 Reflecting back on “Life after capitalism” seminar, I would like to focus now on Sanna Karhu’s presentation “New Ecofeminist Thought and Feminist Animal Studies”, which was centered around natural resources, climate and ecology in relation to ethics. Personally, I found the presentation very interesting, striking and powerful. The data presented on causes of climate change and accumulation of methane gas in the atmosphere was immensely clear, given that she juxtaposed the scientific data to the works of Judith Butler and Chloë Taylor. However, what I found most interesting about the presentation was the responses by some of the audience members, who found the presentation unclear, and “visually” inadequate. There was a comment in opposition to the video that was shown as a supplementary material. The video was about the damage of animal farming to the climate. And the comment was suggesting that the video was not edited correctly, and there was a misspelling in the subtitle of the video. The rest of the class seem to agree with the criticism. Following the comment, there was another question suggesting that documentary-informative-videos are always manipulative and are made to direct viewer’s attention to a specific direction. The comments were similar to observations that I usually hear in an art-critique seminar/workshop. The type of criticism that is aimed toward the “medium” of the presentation rather than its content. Similar observations can be made among my contemporary generation in the art field. We have gain skills to view the visual world critically. However, this critical lens toward visual culture might have resulted in the dismissal of evident facts of life and politics ­–namely causes of global warming. Or otherwise, along with the process of education, we might have left behind the edification of the active citizen. An active citizen who not only looks at the world critically but is also familiar with identifying problematics, and differentiating the abstract from the concrete. In the following years of WWII in Europe and United States -with the advancement of capitalism and the implementation of Keynesian economics- Hannah Arendt identified some problems within the concept of philosophy. She invented the hypothesis of vita activa and vita contemplative, that is precisely dealing with the issue of action versus contemplation. (5) Although by today’s academic standards we consider Arendt as old-school or sometimes even right-wing. However, we should not dismiss analyzing our contemporary political condition when talking about utopian discourses. Her book “Human Condition” is based on the question that what are the conditions that make our “life” livable? (giving the Aristotelian idea that human is a social animal). She starts her book with the idea that the advancement of technology will enable us in near future to live in another planet, and if that will be the case, what are the “conditions” that would enable us to live collectively? (5) Antti Salminen’s categorization of experimental modes of ”after” (before the end), is a good example of the same concept. He divided the modes of “Living” to 5 stages. 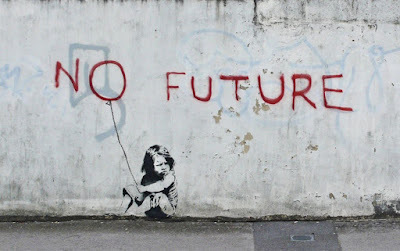 A living that is somewhere between now and a post-capitalist society. In order to avoid falling into the same pitfalls of the past, we need to constantly reevaluate our condition of present. It’s time to take responsibility for our actions and accept that the condition which creates the reproduction of our daily lives is based on the labor and misery of others. There is a division of labor that makes this process possible (where a large portion of society become indifferent towards the problems caused by this economic model). Regarding this ‘division of labor’ and its inconspicuousness, Silvia Federici quotes Maria Mies &amp; Veronika Benholdt-Thomsen in an essay titled Feminism And the Politics of the Commons: “we need to overcome the state of irresponsibility concerning the consequences of our actions that result from the destructive ways in which the social division of labor is organized in capitalism; short of that, the production of our life inevitably becomes a production of death for others”. (8) Realizing this issue, we have to be simultaneously in search of affective ways which would bind different movements and collaborations together. Going back to the beginning of the text and the future that James Boggs saw in relation to the advancement of machinery, we as artists, have to realize the future condition of labor. (9) What neoliberalism is demanding from the modern citizens, is similar to the labor-condition of today’s artists; being hybrid, self-sufficient, problem-solver, workaholic and entrepreneur yet precarious. Large-scale ecological and political changes do not come easy unless we start mobilizing ourselves and think collectively within our community. We have the ability to change the current structure as long as we are politically active and constantly reaching beyond our closed circuits. In “The work of art in the age of deindustrialization”, American writer Jasper Bernes notes that people’s working conditions during the past decades have seen massive changes. The economy that was based on “the production of goods” is now changed to an economy based on the “provision of services”. The emergence of new digital technologies is one of the elements that have transformed the ways in which people work. We have to remember that art, culture and creative industries are now part of this “services sector” and without resisting to these labor conditions, our utopian future would not look better than today. 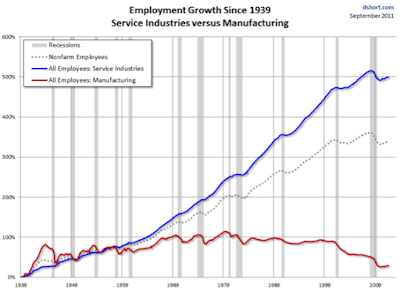 Smith, Jason E. Nowhere to Go: Automation, Then and Now Part Two. Brooklyn Rail. [Online]april1, 2017. brooklynrail.org. Future City. Jameson, Fredric. 21, s.l. : New Left Review, 2003. Fisher, Mark. Capitalist Realism: Is There No Alternative? .s.l. : Zero Books, 2009. Flanders, Laura. The Nation. [Online]APRIL12, 2013. https://www.thenation.com/article/thatchers-funeral-bury-tina-too/. Arendt, Hannah. The Human Condition. s.l. : University Of Chicago Press, 1998. Contemp(t)orary: 11 theses. Medina, Cuauhtémoc. s.l. : Sternberg Press, 2010, e-flux journal What is Contemporary Art. Comrades of Time. Groys, Boris. s.l. : Sternberg Press, 2010,efluxJournal – What is Contemporary? Federici, Silvia. “Feminism And the Politics of the Commons”. www.thecommoner.org. [Online] January 24, 2011. http://www.commoner.org.uk/wp-content/uploads/2011/01/federici-feminism-and-the-politics-of-commons.pdf. Short, Doug. 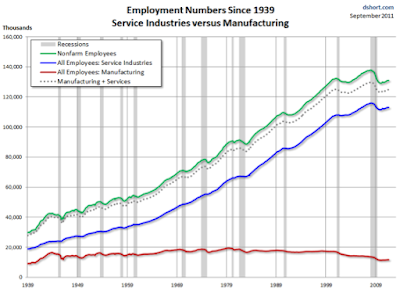 Charting The Incredible Shift From Manufacturing To Services In America. Business Insider. 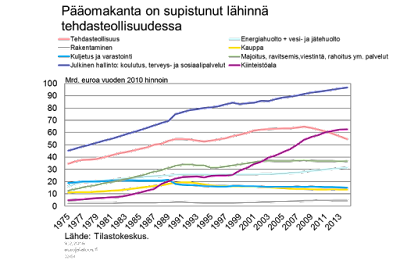 [Online] 08 05, 2016. http://www.businessinsider.com/charting-the-incredible-shift-from-manufacturing-to-services-in-america-2011-9?r=US&amp;IR=T&amp;IR=T. Petri Mäki-Fränti, Juha Itkonen. Involving capital.eurojatalous.fi. [Online] 2 9, 2016. https://www.eurojatalous.fi/fi/2016/artikkelit/kuihtuva-paaoma/.